Overcast. 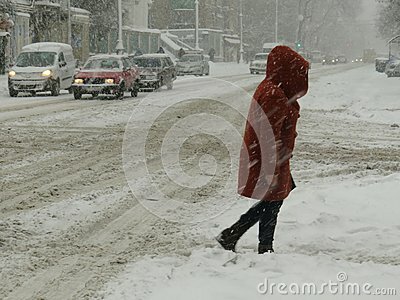 Natural disasters winter, blizzard, heavy snow paralyzed city car roads, collapse. Snow covered cyclone.